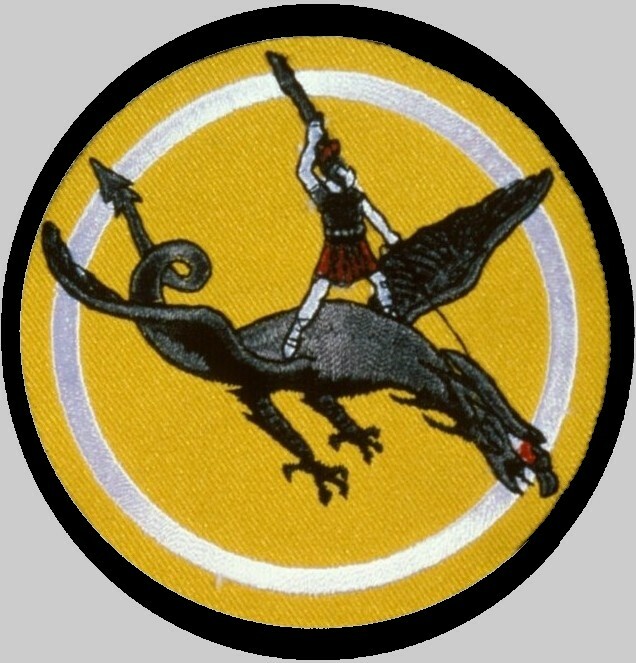 a yellow background outlined in black with an inner circle of yellow and white; gray mythical flying animal with black markings and outlined in black with a red and white eye; white Argonaut with a gray breast plate and helmet, a red skirt and helmet plumage, gray sword and the entire figure has black markings. At a later date, a lower scroll was added to the insignia. The scroll was red outlined in black with black lettering. 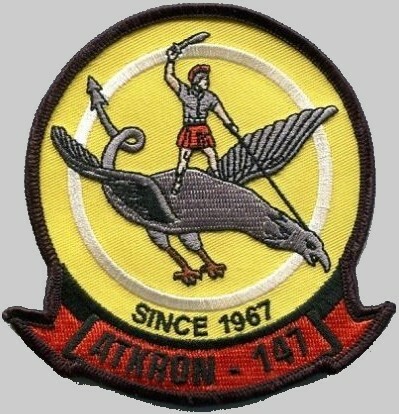 A modification to the insignia was approved by CNO on 22 December 1989. 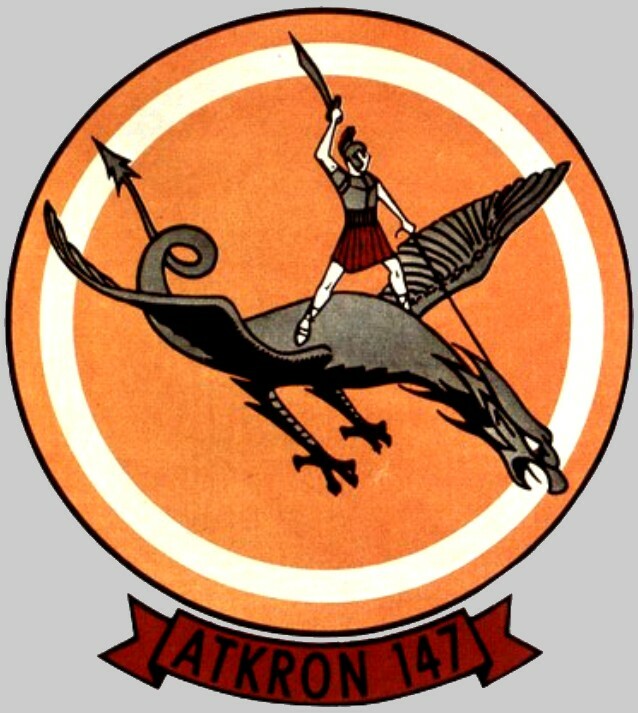 The color of theArgonaut’s skirt, helmet plumage and scroll were changed to orange and the mythical flying animal was given a twin tail. 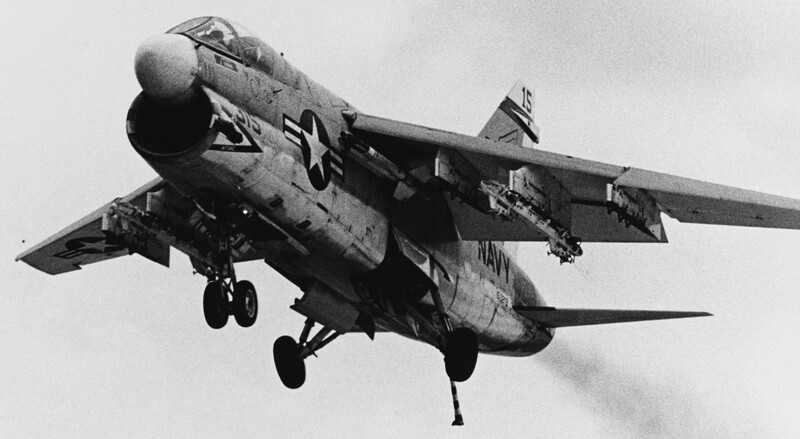 The squadron flew its first combat missions, striking targets in North Vietnam. 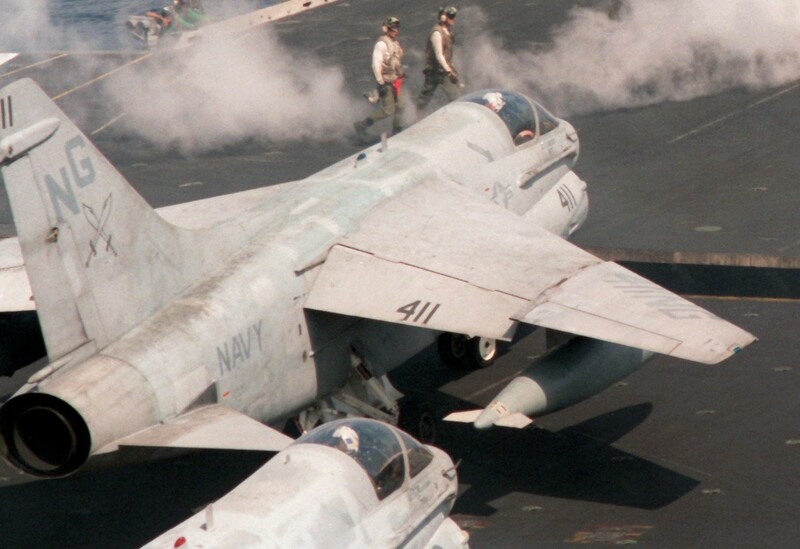 This was the first introduction of the A-7 Corsair II in combat. The squadron flew support missions for the defenders during the seige at Khe Sanh, South Vietnam. USS Ranger (CVA 61), with VA-147 embarked, was operating on Yankee Station when it was ordered to the Sea of Japan following the capture of USS Pueblo (AGER 2) by the North Koreans on 23 January 1968. Ranger and VA-147 operated in the area until relieved on 5 March. Following the shoot down of a Navy EC-121 aircraft by the North Koreans on 15 April, USS Ranger, with VA-147 embarked, left Yankee Station and proceeded to the Sea of Japan for operations off the coast of Korea. 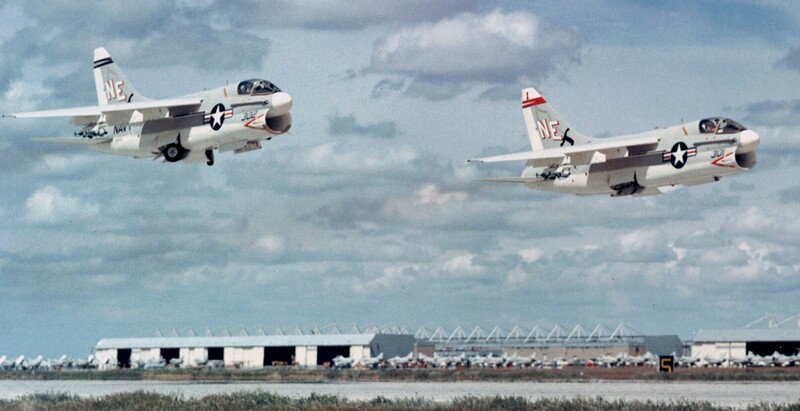 The squadron participated in Operation Freedom Train, tactical air sorties against military and logistic targets in the southern part of North Vietnam. It also provided support for forces in South Vietnam following a massive invasion by North Vietnam on 1 April 1972. The squadron participated in the earlyphase of Operation Linebacker I, heavy air strikes against targets in North Vietnam above 20 degrees north latitude. The squadron’s commanding officer, Commander T. R. Wilkinson, failed to return from a routine sortie off the coast of the Philippines. 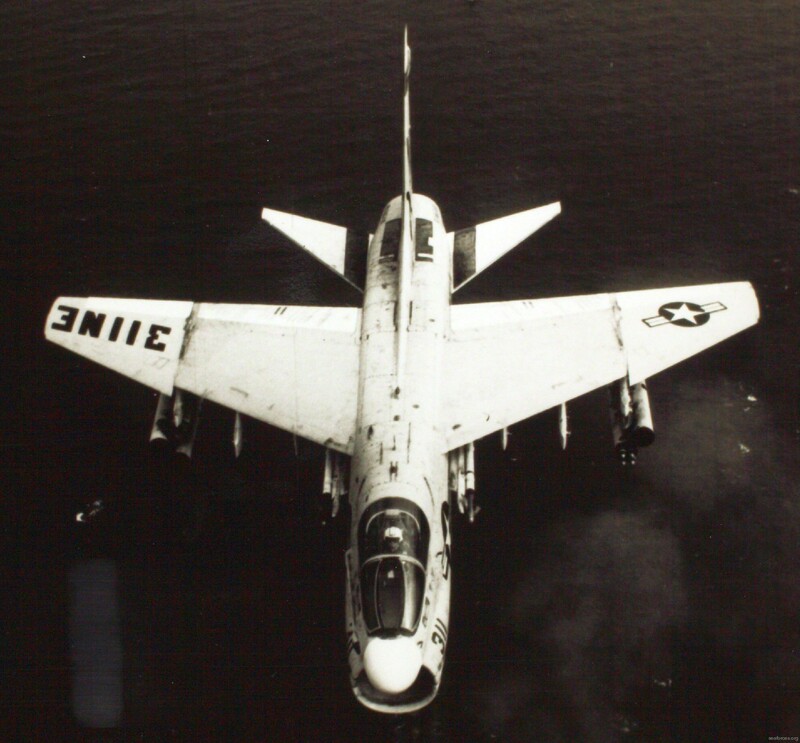 VA-147 provided aerial support during Operation End Sweep, the removal of mines in North Vietnamese waters. 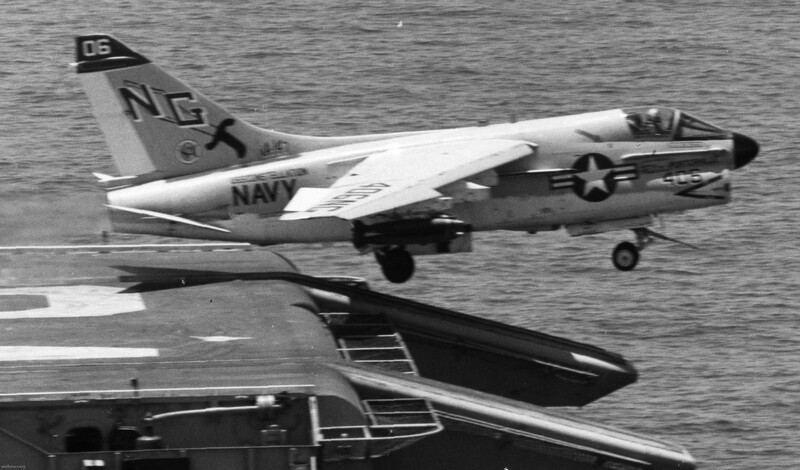 VA-147, part of the CVW-9 team embarked on USS Constellation (CVA 64), operated in the Persian Gulf. This was the first time in 26 years that an American carrier had entered and operated in the Persian Gulf. USS Constellation, with elements of VA-147 embarked, was ordered to make a high speed transit to the Indian Ocean from the Philippines in response to the conflict between North and South Yemen. USS Nimitz (CVN 68), with VA-147 embarked, operated in the Sea of Japan in support of the Summer Olympic Games in Seoul, Republic of Korea. 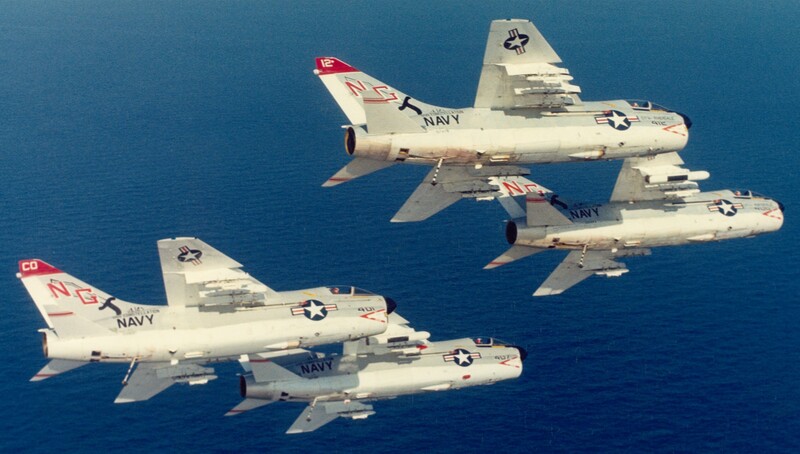 Attack Squadron 147 was commissioned as the Navy's First A-7A Corsair II squadron on February 1, 1967 in Lemoore, California. 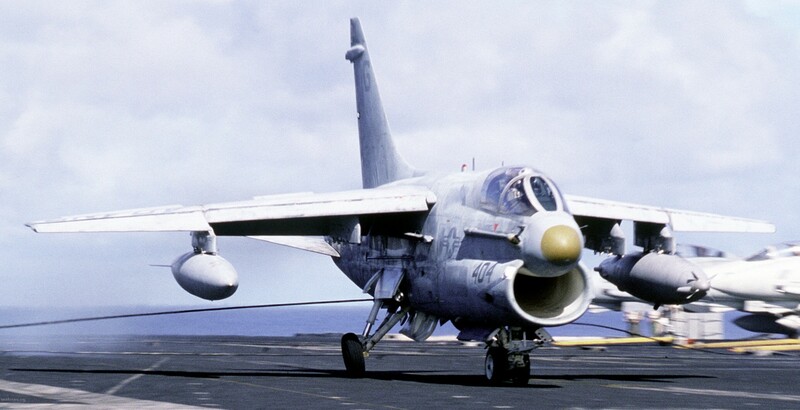 The squadron received its first A-7A on 28 June 1967, and in December 1967, the squadron flew its first combat missions, striking targets in North Vietnam from USS Ranger. 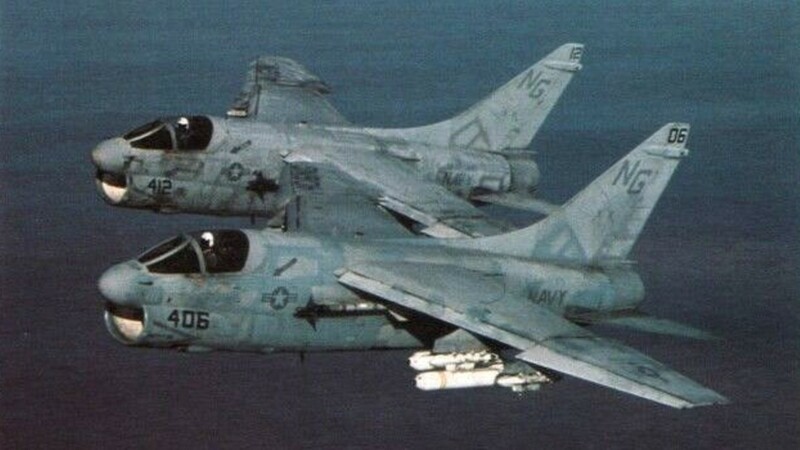 This was the first introduction of the A-7 Corsair II in combat. 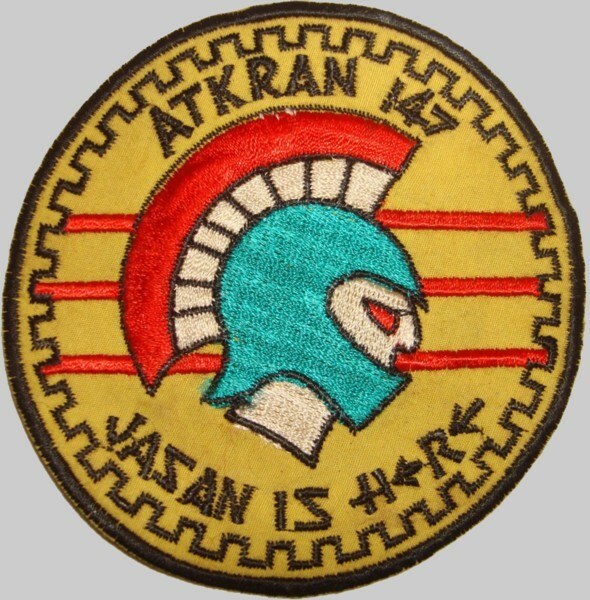 The squadron would deploy a total of five times in support of the Vietnam War. 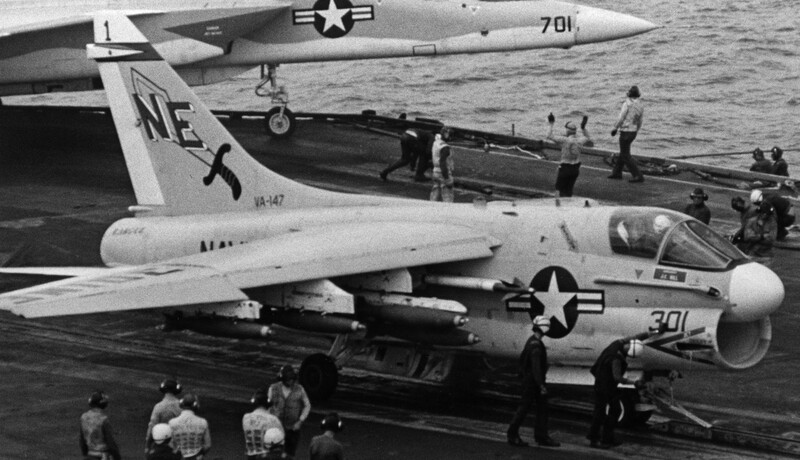 In January 1968 while embarked on USS Ranger (CV-61), the squadron flew support missions during the siege at Khe Sanh before the carrier was ordered from Yankee Station to the Sea of Japan following the capture of USS Pueblo (AGER-2) by North Korea on 23 January 1968. In April 1969 following the shoot down of a Navy EC-121 aircraft by the North Koreans on 15 April, Ranger, with VA-147 embarked, again left Yankee Station and proceeded to the Sea of Japan for operations off the coast of Korea. 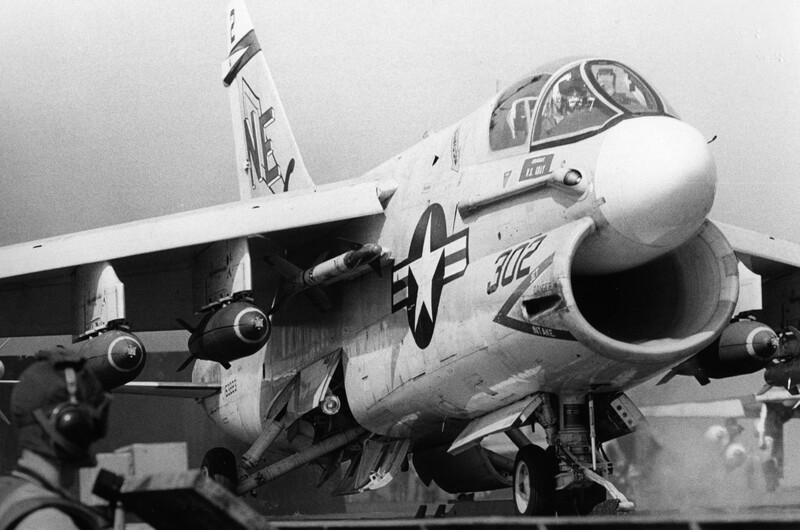 After deployment, the squadron upgraded to the A-7E in September 1969. The Argonauts deployed to WestPac/Vietnam aboard USS America (CV-66) in 1970, and USS Constellation (CV-64) in 1971-72. In May 1972, the squadron participated in the early phase of Operation Linebacker I, heavy air strikes against targets in North Vietnam. 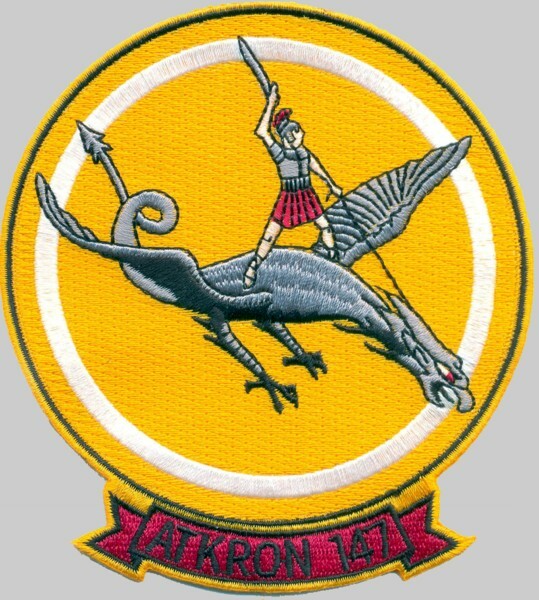 In April 1972 the squadron participated in Operation Freedom Train, tactical air sorties against military and logistic targets in the southern part of North Vietnam. It also provided support for forces in South Vietnam following a massive invasion by North Vietnam on 1 April 1972. 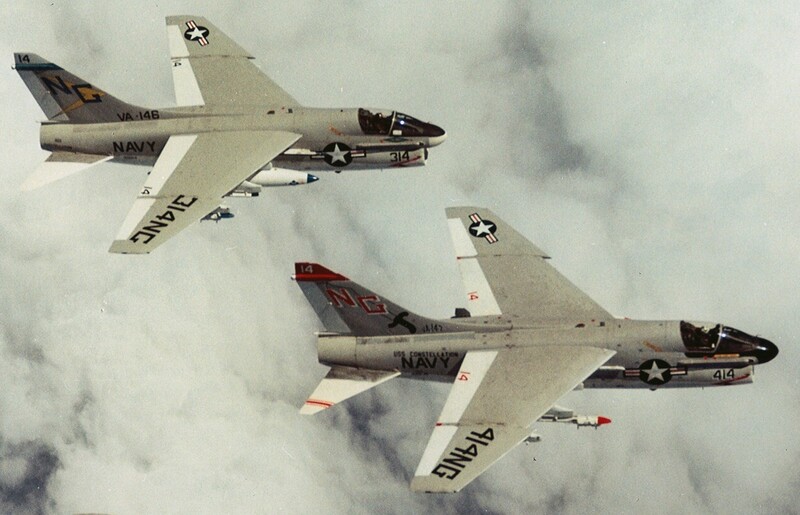 In March-June 1973 embarked on Constellation, VA-147 provided aerial support during Operation End Sweep, the removal of mines from North Vietnamese waters. 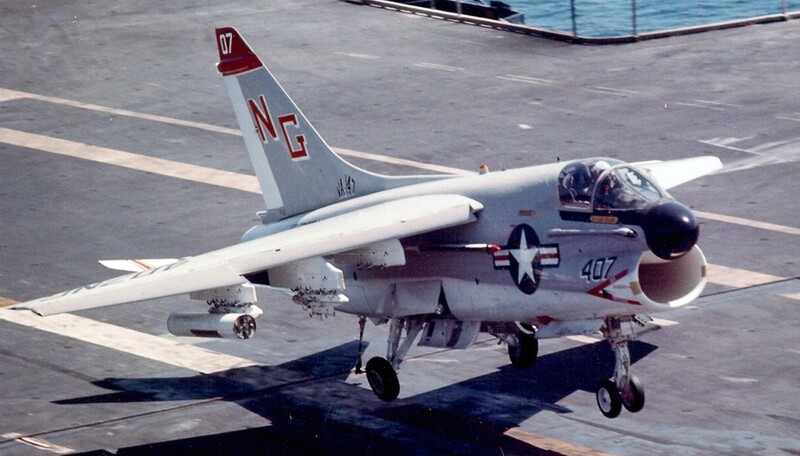 In November 1974, VA-147 embarked on Constellation, operated in the Persian Gulf. This was the first time in 26 years that an American carrier had entered and operated in the Persian Gulf. 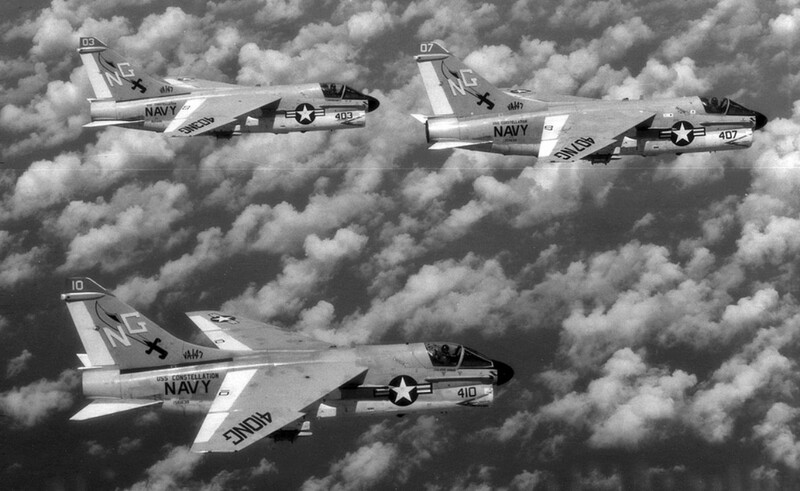 The Squadron won the Battle "E" Award in 1977 as the top Corsair squadron in the Pacific Fleet. 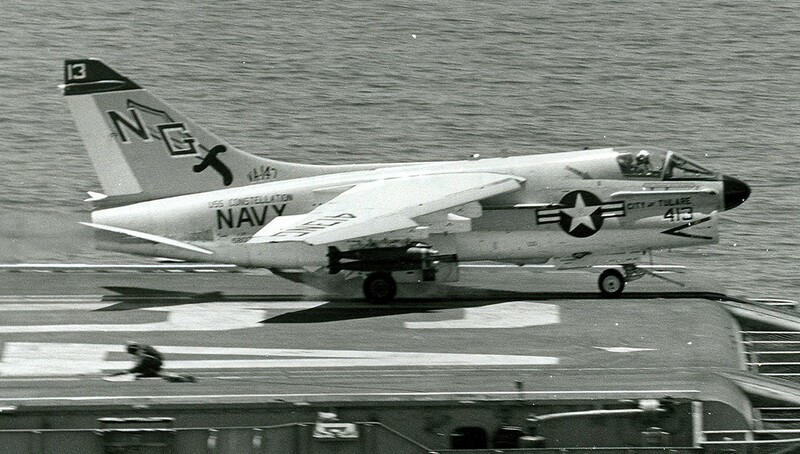 VA-147 deployed aboard Constellation in 1980 and 1981-82. 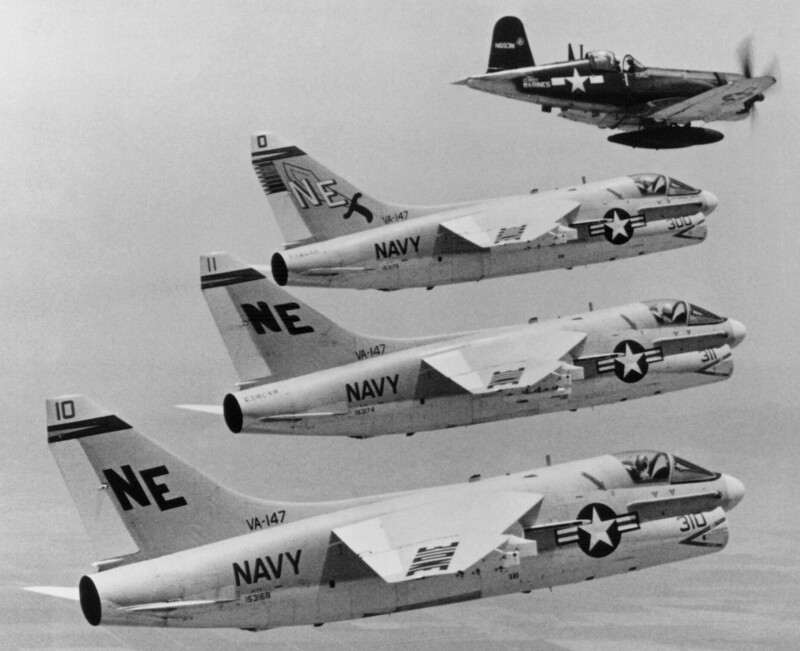 During these deployments, the squadron remained ashore at NAS Cubi Point as CVW-9’s Beach Detachment as part of the "Swing Wing Concept" during most of Constellation’s deployment. Between January 1984 and June 1987, the squadron deployed three times aboard USS Kitty Hawk (CV-63), including an around-the-world cruise. 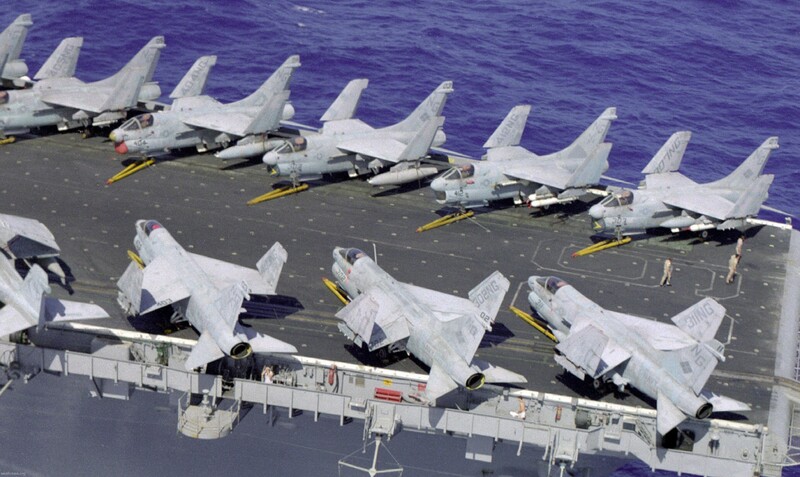 In September 1988 while embarked on the first of two USS Nimitz (CVN-68) deployments, VA-147 operated in the Sea of Japan in support of the Summer Olympic Games in Seoul, Korea. 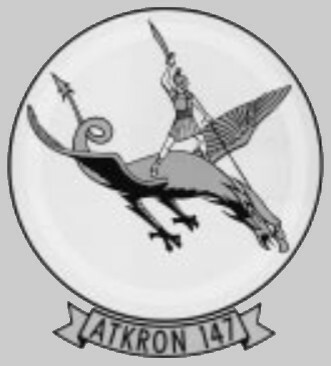 The squadron was redesignated Strike Fighter Squadron 147 (VFA-147) on 20 July 1989, and transitioned to the F/A-18C Hornet under the instruction of VFA-125.